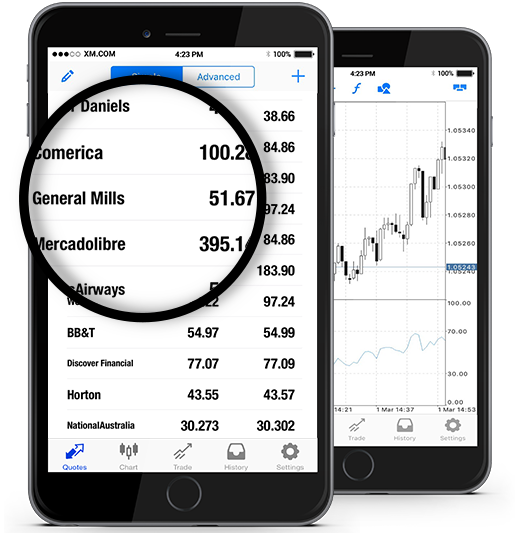 At XM we offer General Mills Inc. (GIS.N) stocks as cash CFDs. Our cash CFDs stocks are undated transactions that aim to replicate the cash price of the underlying stock, and so they are adjusted for any relevant corporate actions. General Mills, Inc. is an American multinational company that manufactures a variety of branded consumer foods (such as the worldwide known Häagen-Dazs, Cheerios, or Trix) and sells them through its retail stores. The company features well over 80 brands, and its array of foods include, among others, snack foods, baking mixes, breakfast cereals, ice cream, and yogurt. General Mills is a component of the S&P 500 stock market index, and its stock is traded on the NYSE. *** Note that the maximum trading volume for General Mills per client is 2108 lots. This limit will be reviewed on a daily basis and updated according to the value of the instrument. How to Start Trading General Mills Inc. (GIS.N)? Double-click on General Mills Inc. (GIS.N) from the “Market Watch” to open an order for this instrument.